As the bard famously stated in As You Like It, “All the world’s a stage, and all the men and women merely players.” In other words, all of life is theatre, a collection of stories to be told. In the hands of a master storyteller, even the most mundane of life’s stories can find its audience and can become compelling in its own right. While I don’t claim to be a “master storyteller,” I think many stories should be told, their characters should be remembered, and when the stories are true, they can be even more compelling. Bayla and Jerry Jacobson (henceforth referred to as Mom and Dad) weren’t famous. They weren’t particularly well known outside of their community, but they were rather exceptional people. Now that they are both gone, I often remember them fondly, grateful that they were part of my life, or more correctly, that I was a part of theirs. That’s not to say that they were perfect, but they were caring people who were devoted to one another, to their families, to their friends, and even to those they didn’t know. Dad was a doctor, an extremely well-trained and capable surgeon. He started working toward a specialization in maxillofacial reconstructive surgery, which in his home state, he could pursue as a dentist with oral surgery training. After earning his Doctor of Dental Surgery (D.D.S.) degree and completing the additional training necessary to become an oral surgeon, he entered his father’s practice. Unfortunately for Dad, that wasn’t going to be enough when he moved to California. There, he’d need to be a Medical Doctor (M.D.) and become board certified in plastic surgery to pursue that specialty. Shortly after Dad started working with his father, he had to take over the practice when his father died suddenly of Leukemia. Coincidentally, Dad was also just returning to school to pursue his M.D. in preparation for his relocation. While certainly not the easy way to go about it, he worked as a dentist running his father’s practice to put himself through medical school. After many more years of training, Dad ultimately became a well-respected practitioner in his chosen field. Much of his practice was focused on correcting debilitating birth defects and repairing accident victims in addition to some cosmetic surgical work. He also developed a considerable distaste for motorcycles given the number of riders he’d pieced back together. The bottom line was that he helped people. In addition to being an exceedingly skilled surgeon, he had a gentle bedside manner and an affinity for putting his patients at ease. Mom was also in the medical profession as a nurse. She was trained through a local three-year hospital program, and at the end of her program, became a board certified, Registered Nurse (R.N.). She too had great compassion, empathy, and a need to help people. Through her training and career, Mom worked in many areas of nursing, but she had an acuity for neurological and psychiatric nursing, and the patients desperately needed her help. She had the critical skill of being able to remain objective with tremendous powers of observation noting the smallest changes while maintaining her naturally gentle and diplomatic manner. Both Mom and Dad were far more than their careers. They each had multiple talents and interests that allowed them to enjoy life and appreciate the good in things. I would sometimes joke about Mom being the definitive Pollyanna, and she was definitely a “glass half full” type of person, but she was also a realist. That made Mom someone to both count on and to willingly support. Dad’s been gone a long time having died when I was but ten years old. I don’t know if that was one of the reasons I was so close to Mom, but it no doubt had an effect. It also made me realize at a relatively tender age, that I couldn’t take either of them for granted. I learned too early in life that no one is immortal, and I only had an unknown, yet limited amount of time to spend with them. Mom always enjoyed my writing, even during my college days when I would write essays and short stories as part of my studies. I wrote an essay back then entitled “I Never Said Goodbye” for an English class assignment requiring a 1000-word autobiography. 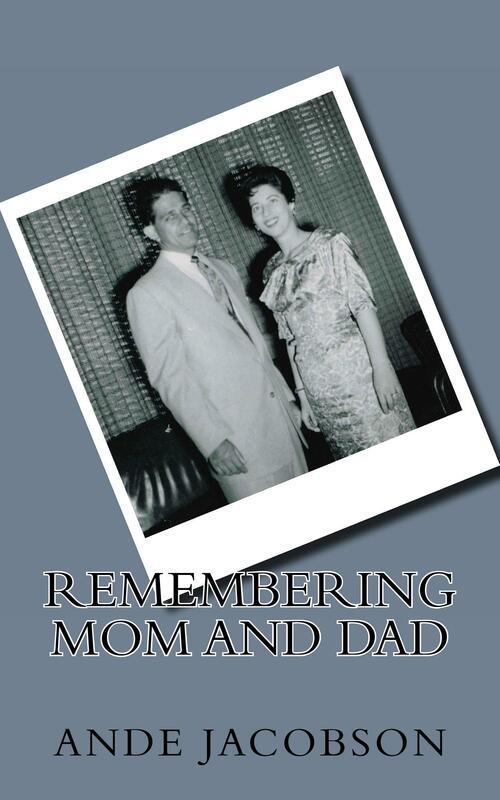 While it was autobiographical, it was also a means I used to finally deal with losing Dad all those years ago. As time went on and my writing continued in various venues including a fair amount of technical writing in my work as an engineer, I started writing informal theatre reviews, exercising both my artistic and analytical skills. Much later, I formalized my foray into the dark side of theatre by creating a website for that purpose, and I would read Mom my theatre reviews right before I published them. About a month before she died, I wrote an essay for Mom as a tribute to her – “I Will Never Say Goodbye” – and she loved it. To me, it’s critical to honor those important to you while they are alive and can share in the celebration. At the time, I didn’t know how much longer she’d be around, but fortunately I didn’t wait too long.